We provide rural communities with resources to launch clean energy enterprises. ENVenture empowers rural Community Based Organizations (CBOs) to learn business skills to launch sustainable clean energy enterprises. - Teach how to conduct market research in order to determine uptake and price points. - Develop relationships with local clean energy manufacturers to help set up order processing and delivery. - Manage ENVenture's loans to the CBOs in order to ensure that all receipts, invoices, and purchase orders are accounted for and shared with ENVenture. - Work with the CBO staff to create marketing campaigns around the enterprise. - Help determine future orders, costs, profitability, and margins, as well as cash flow. - Maintain progress reports with ENVenture, and at the end of the position, submit a summary of all work done during the time with ENVenture and local partners. - Help the CBOs grow sales. - Winter: January - March. - Summer: June - August. - Fall: October - December. - Personal accident health coverage during placement. - Online business course training on working with a base of pyramid consumers. - Participation at our bootcamp in Kampala (transport, lunch, and accommodation take care of) for two nights. - Joining the ENVenture network and make direct connections with clean energy access companies, and connecting with other Fellows from around the world. Local Fellows will also receive transportation to and from the village site. International Fellows will receive a 3 month visa. "I spent 3 months in Western Uganda working as an ENVenture Business Development Fellow, and I can honestly say that it has been one of the best professional experiences of my life so far. I was placed with an established CBO (Community-Based Organisation) that had a history of social impact, environmental stewardship and promotion of clean energy alternatives. My role at the CBO was to take their organisation's experience, their skills and talents, and assist them with the creation of a new profit-making commercial venture, selling clean energy goods in a rural, largely off-grid environment. To be clear, we created an entrepreneurial business based on profit incentives, but the founding principles of this company were deeply rooted in the local community, in ensuring that the products for sale offered efficiency-savings for the users, adhered to strict environmental standards and outperformed established, 'dirty' alternatives. To be sure, not everything about this volunteering experience was easy. In addition to needing experience and knowledge of the clean-energy and energy access sectors, candidates need to be business-minded, and either come in to the project with a degree in business, or ideally, experience working in start-ups and/or small businesses. What is really needed is flexibility, motivation and maneuverability as you will face many challenges, diverse contexts and need to think on your feet and have a quick, problem-solving approach to your duties. But if this does sound like you, what you will gain from the experience is three months in which you will co-manage your own project, establish a new ethical business in a young and fast-moving industry, have a set of concrete and sustainable deliverables and a set of fantastic, long-term working and social relationships with your CBO, with the other fellows on your project and within the industry. As I said at the top of this review, taking part in the ENVenture Business Development Fellowship has been an incredible rewarding experience. If you enjoy a challenge, if you want to grow your skills and if you want to make a positive difference then apply!" We are seeking Business Development Fellows that will act as a business coach for our rural CBO partners to enable them to launch a sustainable enterprise selling clean energy technologies across Uganda. You will be based at their village location site and you will gain first-hand experience on rural entrepreneurship. 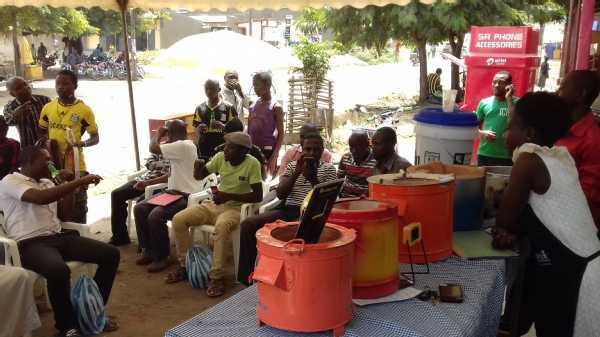 You will work closely with the Executive Director of the CBO to advise on how to establish an enterprise that sells small-scale clean energy products, including but not limited to solar lights, solar home systems, improved cookstoves, fuel briquettes, and water filters. Placement is for a minimum of 3 months. ENVenture is a Ugandan registered business incubator that empowers rural Community Based Organizations (CBOs) to learn business skills to launch sustainable clean energy enterprises. Incubatees receive a revolving loan and a business coach that mentors them in launching the business, taking the business concept from idea to execution. We at ENVenture would love to hear from you!